Obituary for Mary Frances Newland | Williams Funeral Home, P.A. Mary Frances Newland passed away peacefully on Tuesday, March 19, 2019 at her residence. She was preceded in death by her parents Stanley and Lena Hartley Newland. She is survived by the Marbury church family and her “adopted” grandson Taylor Bean. She was born January 25, 1921 in Kentucky and moved with her family to Maryland in 1951. She began work at Ely’s Department Store in Indian Head in 1962 and retired in 1985 after working 23 years. She became a member of Marbury Baptist Church when she moved to Maryland and remained a member until her death -- a total of 68 years. 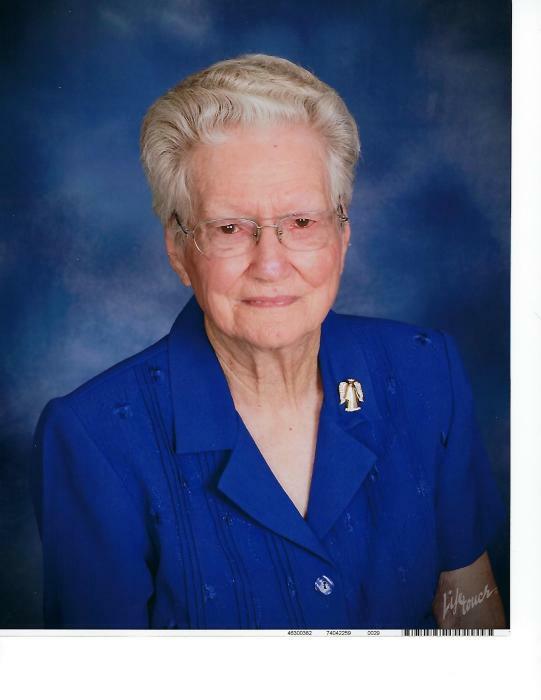 Within the church she served in many capacities – Deacon emeritus, Women’s Missionary Union (WMU), Sunday school member, Prayer team member, Social Committee, Flower Committee, and Baptismal Committee. She was well known for her famous hugs. Any visitor and/or member would be sure to receive a hug from Mary Frances when they would show up for church. She wanted to make sure that everyone felt welcome. All services will be held at Marbury Baptist Church, 4670 Bicknell Road, P.O. Box 528, Marbury, MD 20658. Receiving will be on Monday, March 25, 2019 from 5:00 PM until 7:00 PM with prayers at 6:45 PM. The funeral will be at 11:00 AM Tuesday, March 26, 2019 with receiving from 10:00 AM until 11:00 A.M. Interment will follow at Trinity Memorial Gardens. A repass will be held at the church following the graveside services. In lieu of flowers, donations may be made to Marbury Baptist Church in her memory.